There was no Kurt Russell or ironic sense of justice at the end, but the Toronto Maple Leafs were able to escape from Detroit with one point last night. It was your classic Pyrrhic victory. The Detroit Red Wings walked away with two wins and four points in their home-and-home, back-to-back series with the Leafs this weekend. They pounded James Reimer for four goals on Friday while Jonathan Bernier limited to them to one goal last night. 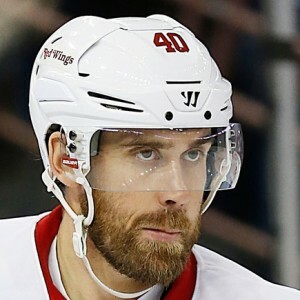 Unfortunately, the goal was scored in overtime by Henrik Zetterberg thanks to poor defensive coverage by Cody Franson, sending the Leafs to their second straight loss and dropping their season record to 2-3-1. Zetterberg had a particularly strong performance against the Leafs on Friday where he recorded four points (all assists) and enjoyed a very healthy +4 ranking on the night. If you add Saturday’s game winning goal to the count, that’s five points in two nights for Zetterberg at the expense of the Leafs. Here’s the really disturbing part, however: Zetterberg had only one point (an assist) in three games going into this weekend’s mini-series. In other words, Zetterberg’s current hockey pool value is due almost entirely to the Leafs’ inability to stop him – he’s a bona fide Leafs killer, the human equivalent of a rake. Adding further insult to injury, former Leafs goaltender (and heartbreaker) Jonas Gustavsson recorded the shutout victory. It was first start and win of the young season. For the Leafs, there are few positives to report across the two games. 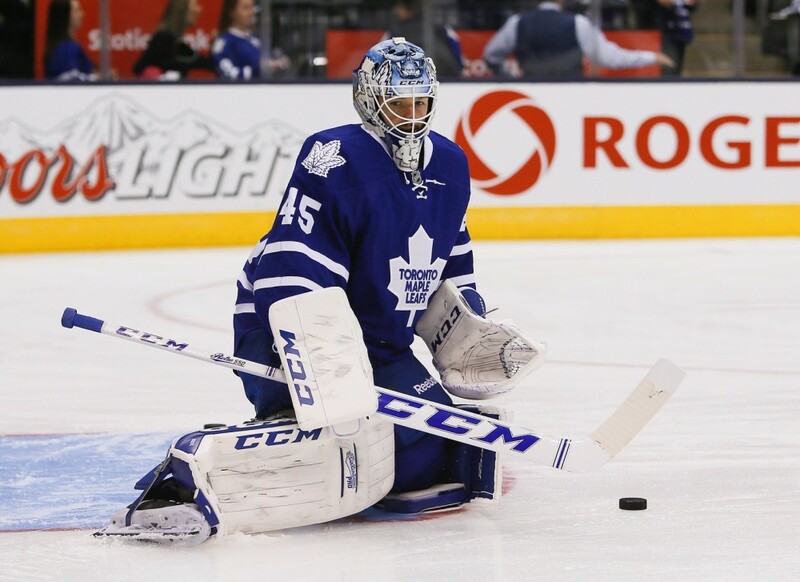 After riding two straight wins into Detroit, a poor showing from Reimer on Friday quickly reminded us why the Leafs went out to add Bernier during the 2013 off-season. The top line of Phil Kessel, Tyler Bozak and James van Riemsdyk were held pointless in both games, underscoring the Leafs’ dependence on them. When these three score, the Leafs win. When these three go pointless, the Leafs lose. The math might be simple, but Randy Carlyle can follow it. Bernier was the lone bright spot for the Leafs this weekend, registering 31 saves last night and keeping things close in a game the Leafs had no right to win. After two rough starts to begin the season, this was the type of performance that Leafs fans desperately needed to see from Bernier. I wouldn’t be surprised to see Bernier back in the net for the Leafs’ next game on Tuesday. They face the red-hot New York Islanders on the road. What are your thoughts on this weekend’s mini-series between the Leafs and the Red Wings? Let us know your thoughts in the comments section below.